Weidenfeld & Nicolson History. Paperback. VERY GOOD. Light rubbing wear to cover, spine and page edges. Very minimal writing or notations in margins not affecting the text. Possible clean ex-library copy, with their stickers and or stamp(s). Pheonix Press, 2001. 2001 rep. paperback. 277pp, softback, VG+ copy. 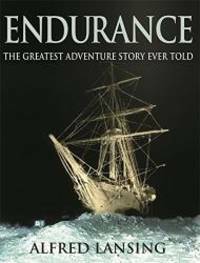 An attractive reprint of THE polar classic, covering the 1914 Imperial Trans-Antarctic Expedition led by of Sir Ernest Shackleton.. Glacier Books are experienced and professional booksellers. We take pride in offering carefully described books and excellent customer service. Weidenfeld & Nicolson History. PAPERBACK. 1842121375 . Very Good. 2001-06-21. Good. Ships with Tracking Number! INTERNATIONAL WORLDWIDE Shipping available. May not contain Access Codes or Supplements. May be ex-library. Shipping & Handling by region. Buy with confidence, excellent customer service!